Occasionally, I come across a recipe that appeals to me and sticks in my mind for whatever reason. I don't necessarily make the recipe but I think about it...a lot. 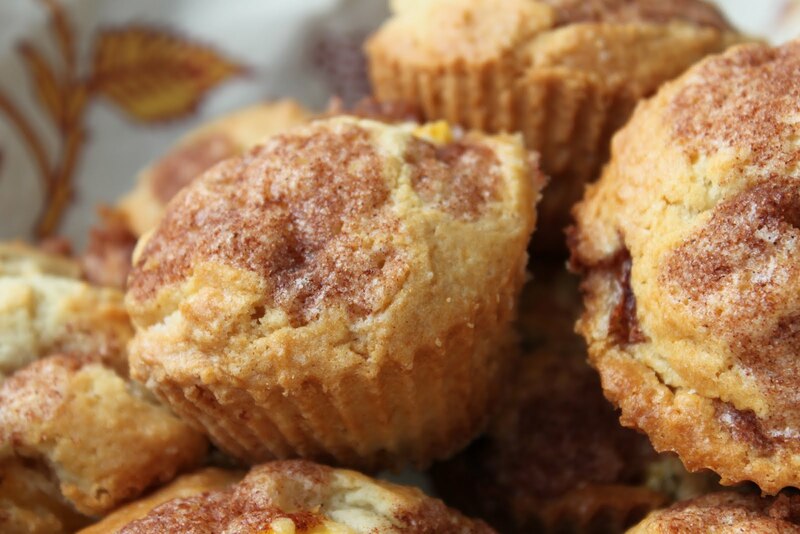 That happened with this recipe, Peach Cobbler Muffins, from Gooseberry Patch's Farmhouse Kitchen, copyright 2009. I knew they would be delicious yet I just couldn't bring myself to make them. I wondered why. Then, I saw the simple little line in the directions that I knew was holding me back, "Cut in butter with a pastry knife or a fork." Was I without a pastry knife or fork? No, I have both. But, to be honest, the pastry cutter and I had had a bad first date. We exchanged a few negative words and I left him sitting in a bowl of unusable crumb topping. Forgiveness is not really my thing but for the sake of these muffins, I gave him another chance. We got along better this time, but I don't if I'm ready to commit right now. It's just too soon. 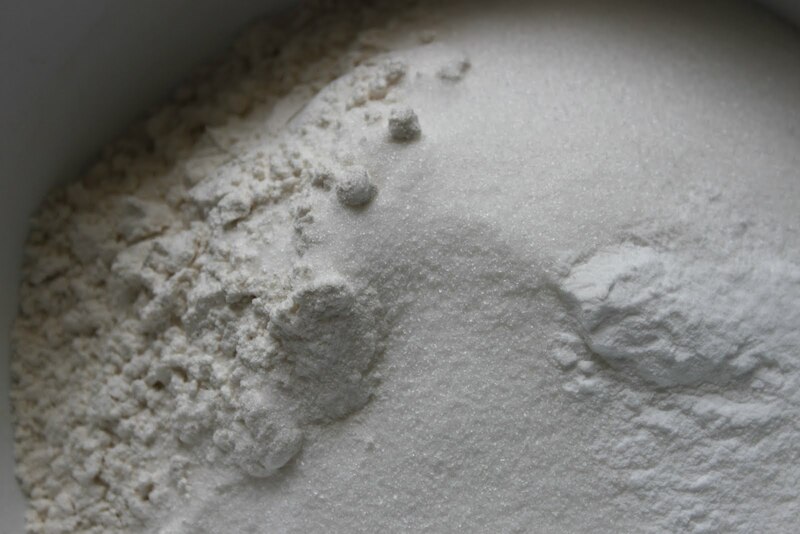 Mix flour, sugar, baking soda and salt in a large bowl. 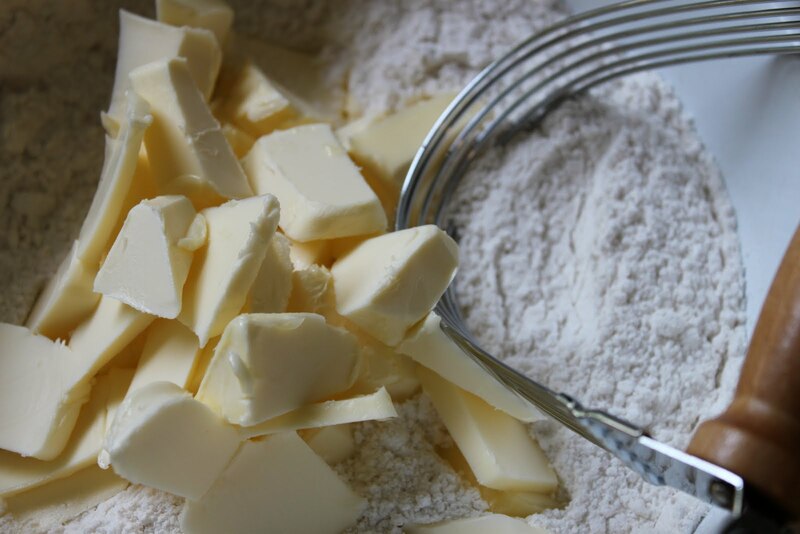 Cut in butter with a pastry knife or a fork. 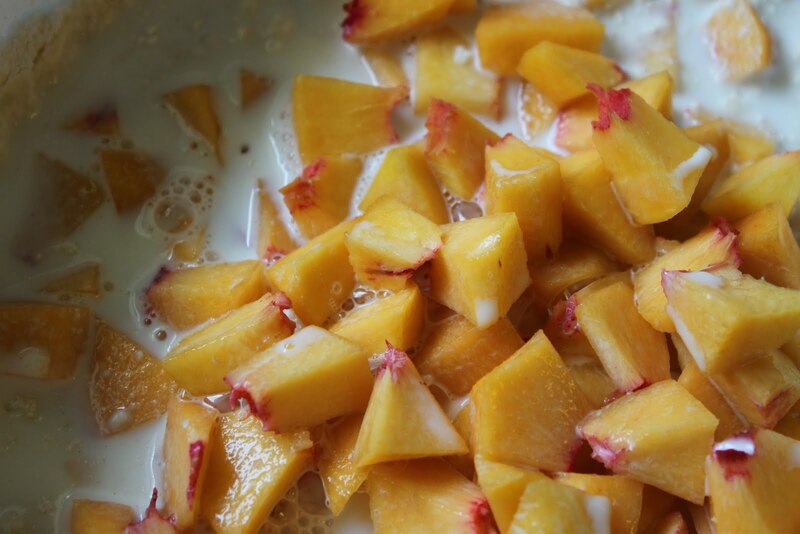 Add milk and peaches; stir until just moistened. Spoon batter into greased or paper-lined muffin cups, filling 2/3 full. Spoon topping onto muffins. Bake at 400 degrees for about 20 minutes, or until golden. Turn out and cool slightly on a wire rack; serve warm or cold. Makes 1-1/2 dozen. 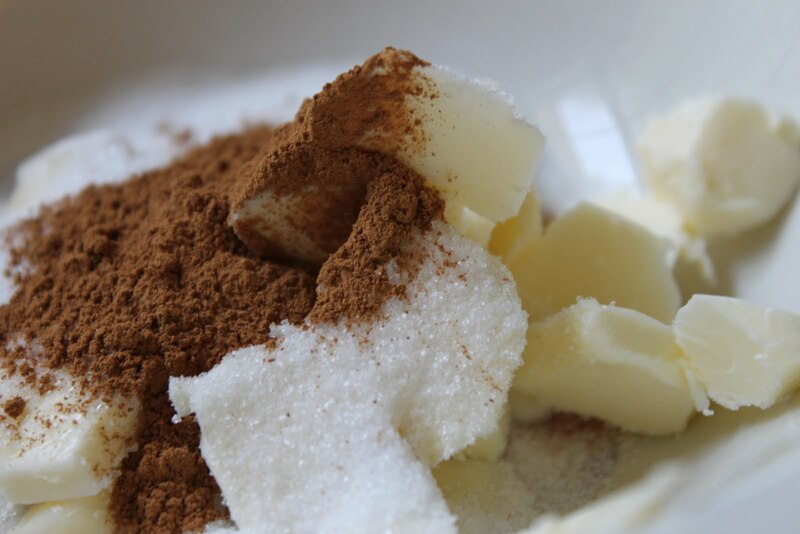 Mix together in a small bowl until crumbly. 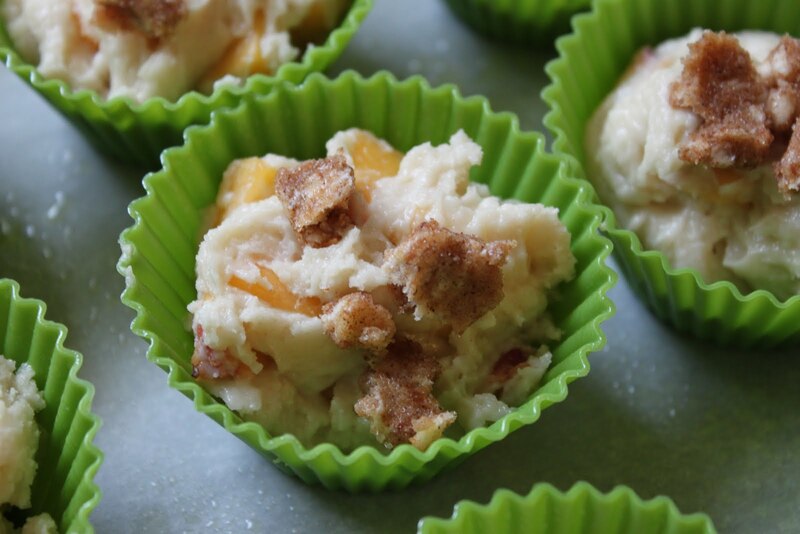 I decided to make a slight change to the recipe and use fresh peaches instead of canned. 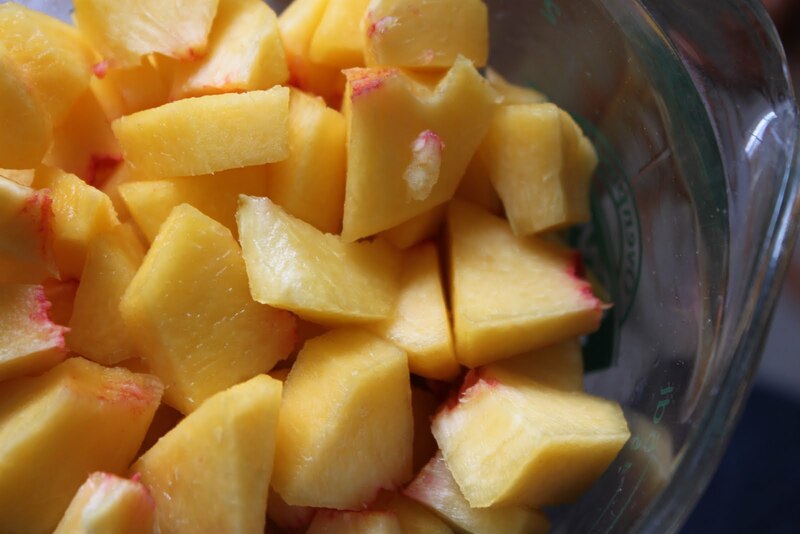 Three fresh peaches made about two cups. I mixed the dry ingredients in a large bowl. I cut the butter into small pieces before I started cutting it in. The pastry cutter and I got along fairly well. There were a few awkward moments, but we set aside our differences for the greater cause...muffins. After the butter was incorporated into the dry ingredients, I added the peaches and milk. I stirred until everything was just blended together and spooned the batter into greased silicone muffin cups. Before placing the muffins in the oven, I mixed together the topping ingredients with a fork. Since I only had twelve silicone muffin cups, I also used a 6-count muffin tin so that I could bake all of the muffins together. They were both done at the same time. The muffin tin does hold more batter and made larger muffins. I sprayed both with cooking spray and the muffins popped right out without a problem. 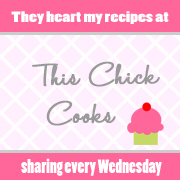 Stop by my linky party and share your dessert recipes at Sweet Indulgences Sunday. 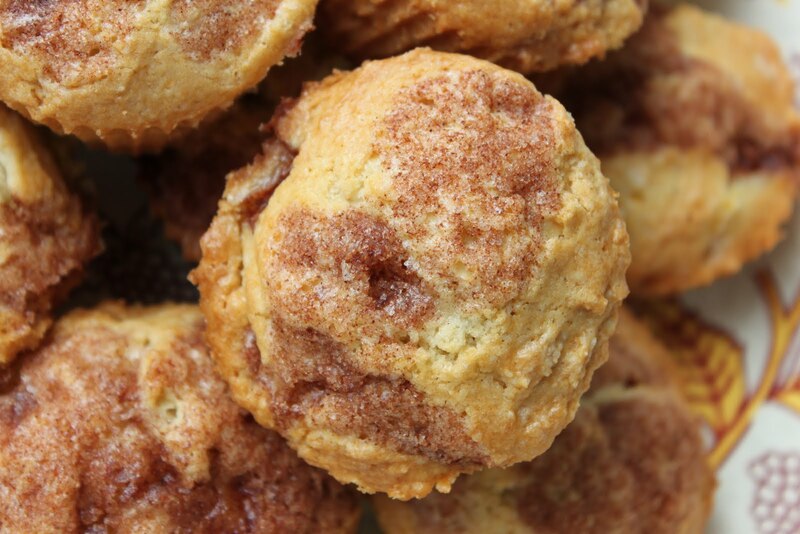 These sound like the perfect muffin for early morning breakfast's. Wow! These look so yummy!!! Thanks for sharing this recipe!! I love this post. Had me smiling and I relate to the hesitancy using pastry knife. Despite this, I am printing this up and plan to make them. I would be happy if you would link this to Bake with Bizzy. Those look so yummy! Perfect for breakfast! Hi, I left here and made these but in the middle, I realized there was no egg. I didn't know if that was my mistake or it was not supposed to have an egg. I decided I would add one and did. Mine are cooling down so I haven't tasted them yet but they look delicious. They look like yours. I will have to come back and let you know how they tasted. These are gorgeous muffins! They've got fruit so that makes them healthy enough to eat 4, right? Hi, I am a new fan! Following you via networked blogs and GFC. @Our Banana Moments - thanks for following. Glad to have you here. Well worth a moment of awkwardness with your cutter, we'd say! 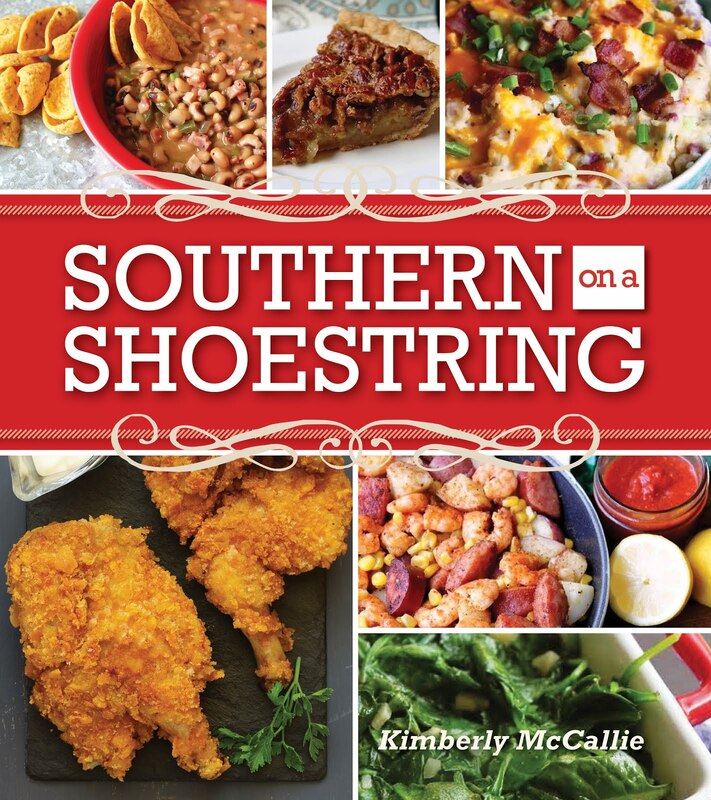 ;) Those look amazing, Kim...thanks so much for sharing this great recipe. There's an award waiting for you on my blog. :-) Enjoy! How fabulous....one of my favorite cobblers in a muffin. Breakfast made easy. Hello! No, this particular recipe didn't call for an egg.